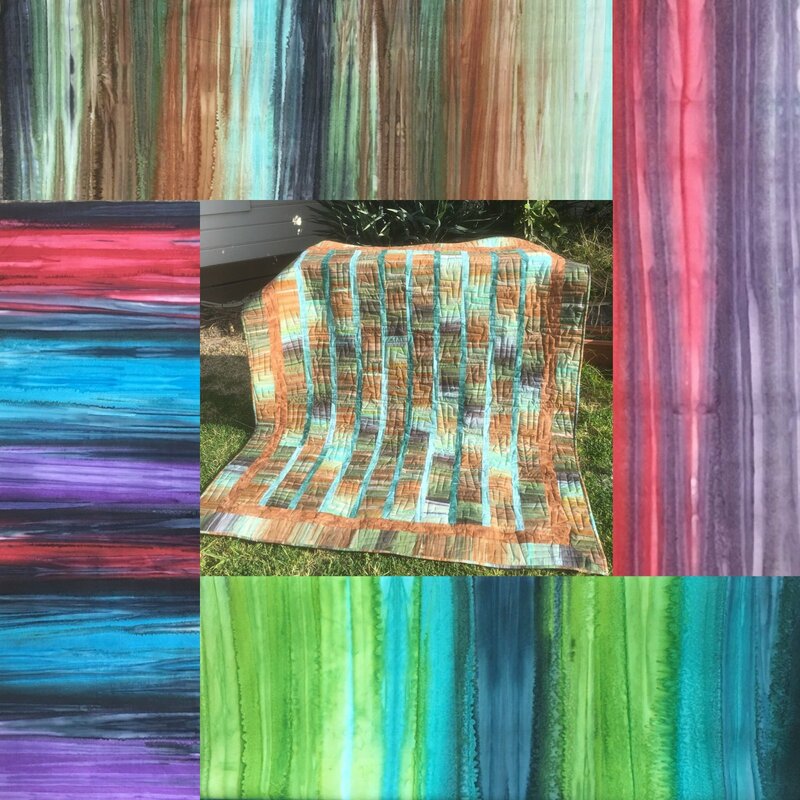 Hand dyed random striped batik teamed with complimentary ombre and tone on tone framing fabric. Kit includes all fabric for quilt top and instructions. Other colours available. Kit makes a quilt 58 inches x 70 inches. Includes binding.